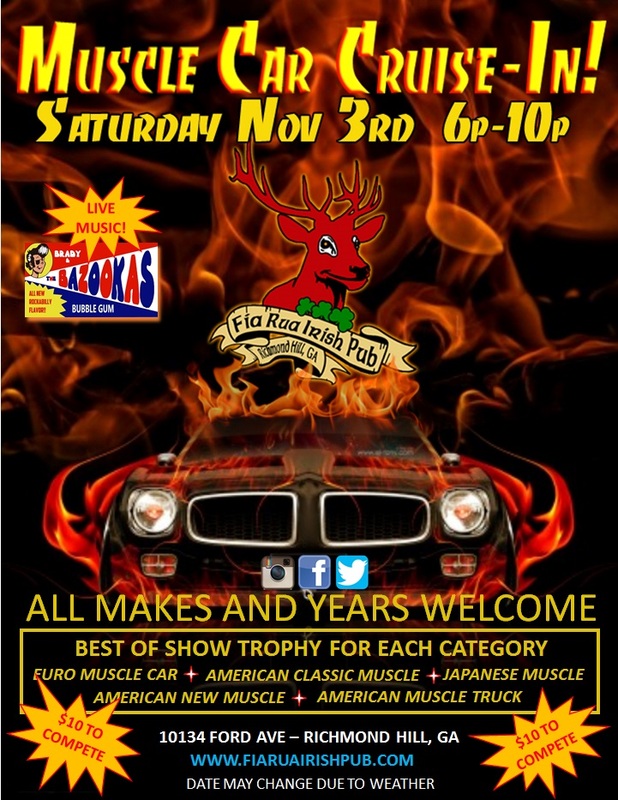 Come on out on Nov 3rdth from 6p-10p for a muscle car show with all makes and models welcome! Big trophies for all categories will be given out for best of show! Only $10 to enter if you want to compete! LIVE Music will also be on hand so come have some fun! Team Trivia feat. Scofflaw Brewing!